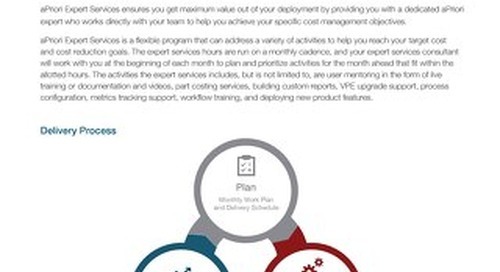 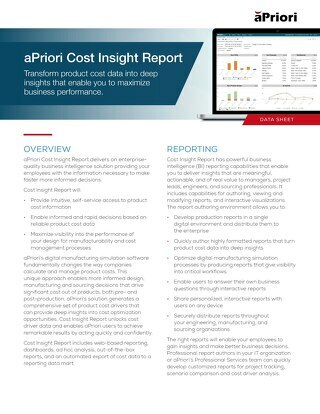 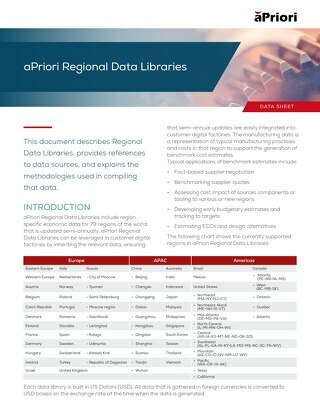 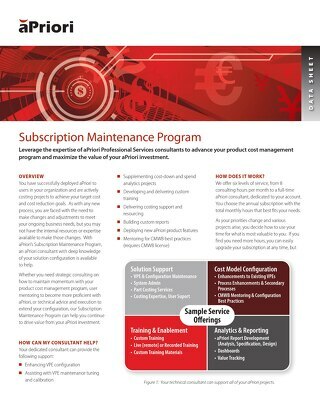 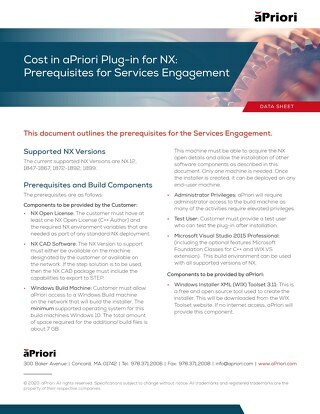 Get the Full Datasheet Now! 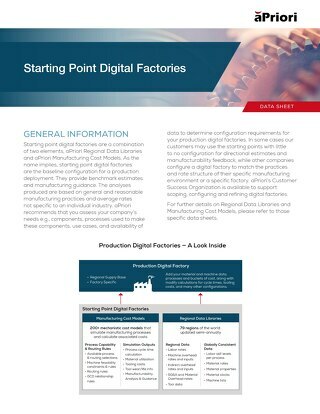 When considering your entire manufacturing process, potential savings may come from the most unlikely of sources. 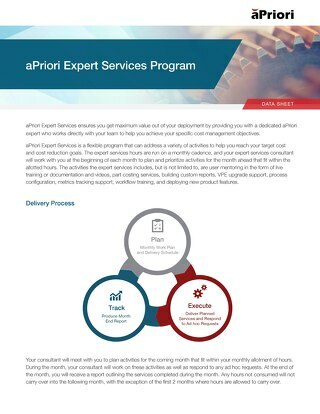 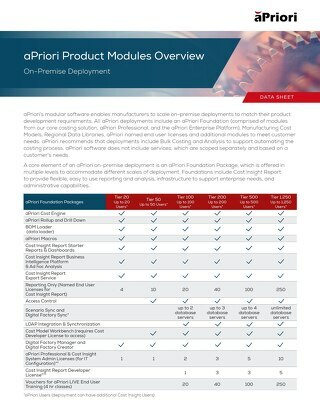 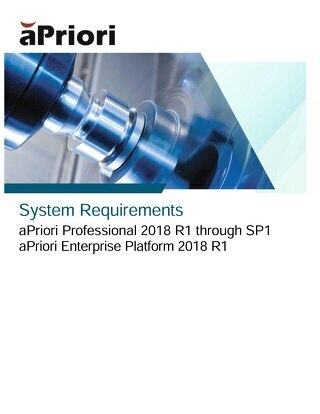 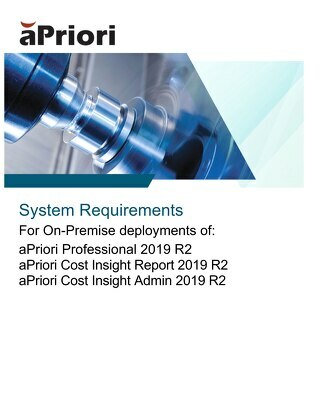 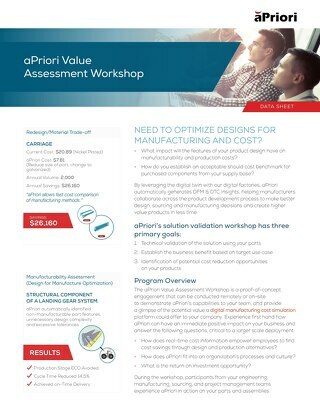 With the help of an aPriori Virtual Production Environment (VPE), your business can explore the lowest cost production methods for a variety of manufacturing and finishing operations including sheet metal fabrication, bar & tube fabrication, welded or mechanical assemblies, plastic molding, sand and die casting and many more. 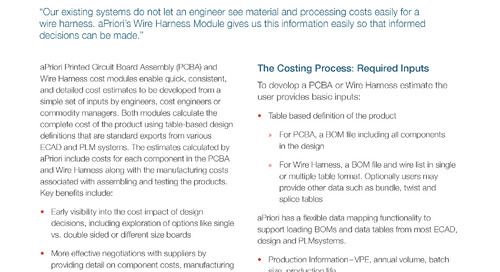 This datasheet provides a table of all of the manufacturing processes for which we have physics-based cost models, allowing engineering, manufacturing and purchasing professionals to explore cost saving production alternatives down to the machine level.